As I forgot to post yesterdays GIF Club, which happens more then I'd like to admit, here it is today. Of course forgetting things like that is unacceptable. 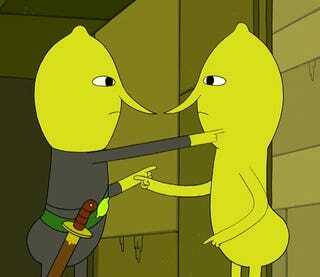 Two categories to choose or not choose from this week - outrage or Adventure Time. Or both! Or neither! GIF it up you crazy cats.